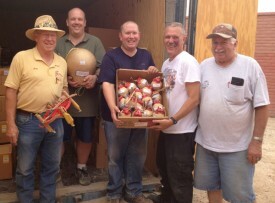 For nearly 20 years, Mike Deans has been providing Artesia with a top-notch professional fireworks show every Fourth of July. Over the years, he extended his services to add some bang and sparkle to football games, graduations, and community events. After a long run of professional fireworks, Deans has decided to retire. This year’s Fourth of July show will be the last for the pyro team. … For the rest of the story, subscribe in print and on the web.